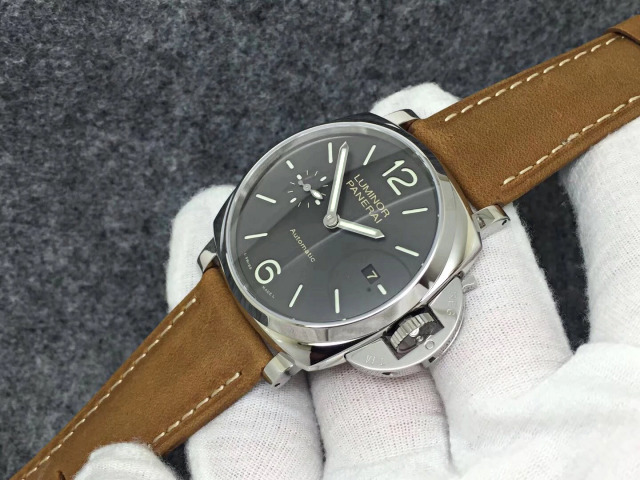 What’s your opinion about Panerai when you first saw it? Maybe all you guys will said it is big. 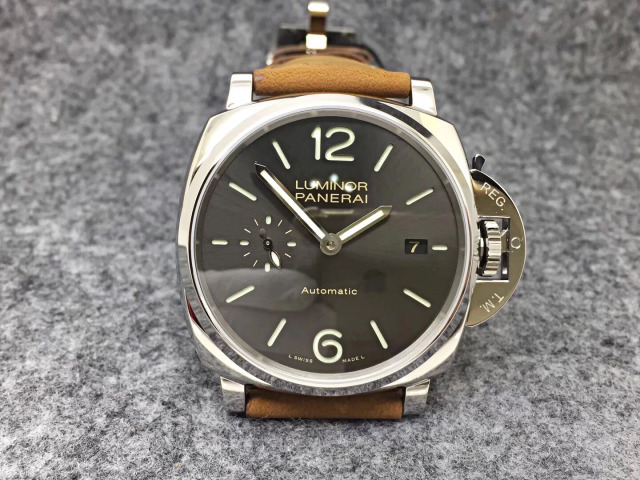 Yes, this is also my impression about Panerai. All models made by them have a large case diameter, certainly, this has not included the big cown bridge. 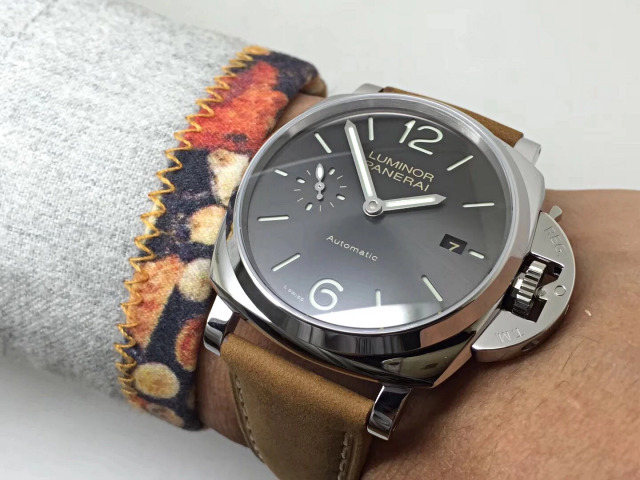 Panerai is very popular all over the world, it leads the fashion trend of big watch. 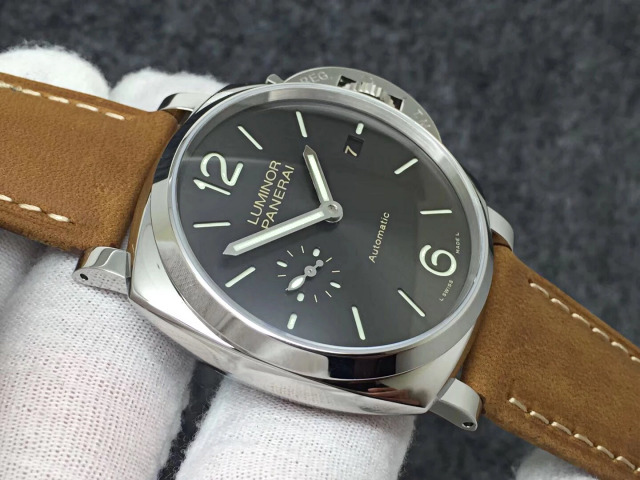 Today, I want to give an introduction of a Panerai replica watch in smaller size. 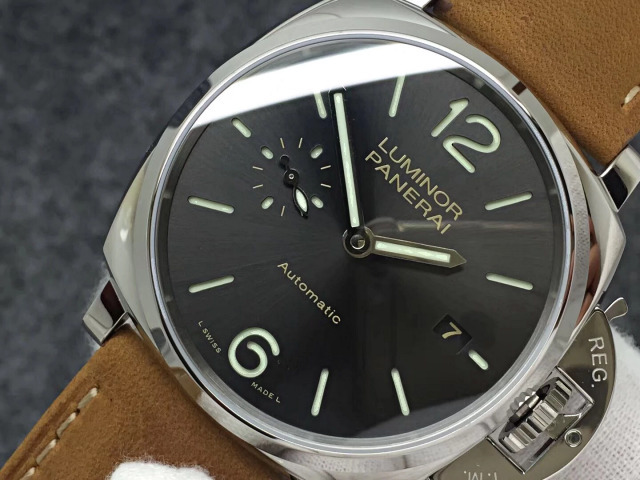 Genuine watch is PAM 904 Luminor Due 42 3 Days, it was the latest model Panerai published at SIHH 2018. 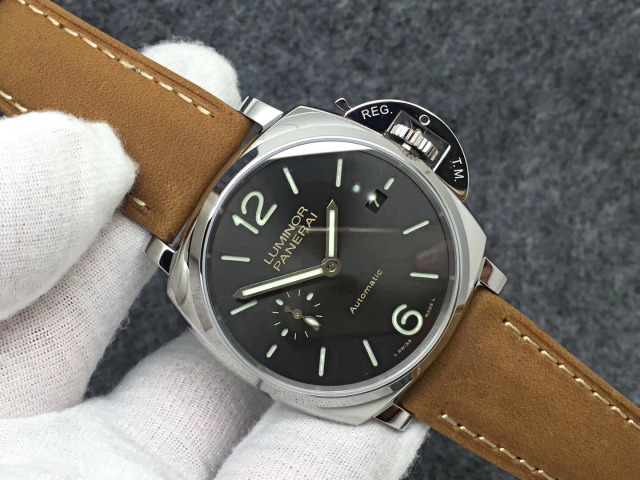 Luminor Due is the new series Panerai added to their watch family. 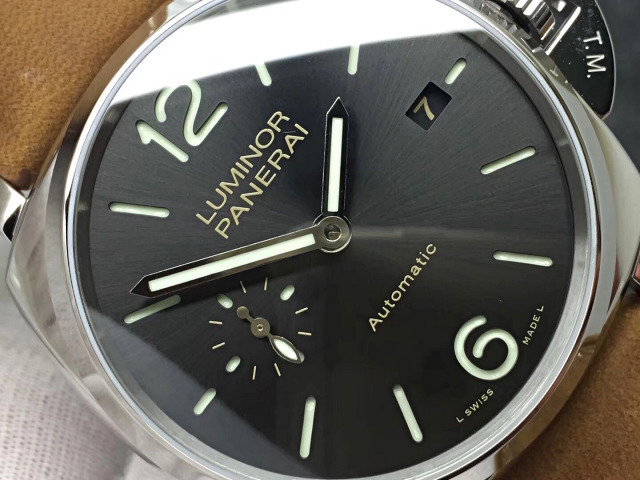 Luminor Due is in smaller size and has a thinner case, while still keeps the iconic case shape of Luminor. 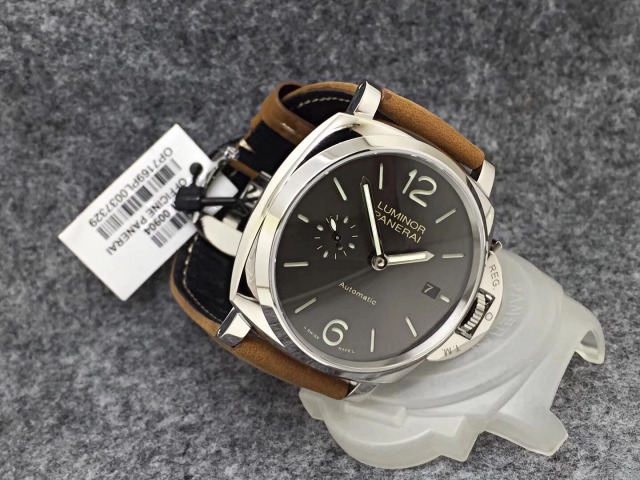 The replica here is made by VS, which is a factory that specilizes in making good quality Panerai replica watches. 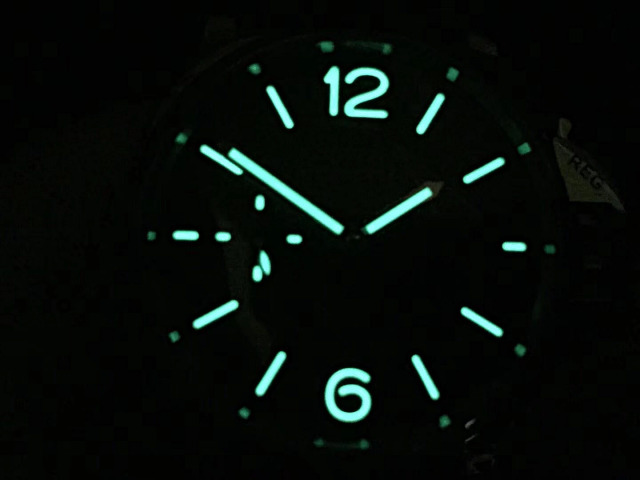 Genuine Luminor Due is not made for diving, it is only 30m waterproof, while this replica is also tested to be 30m water resistant by the factory. 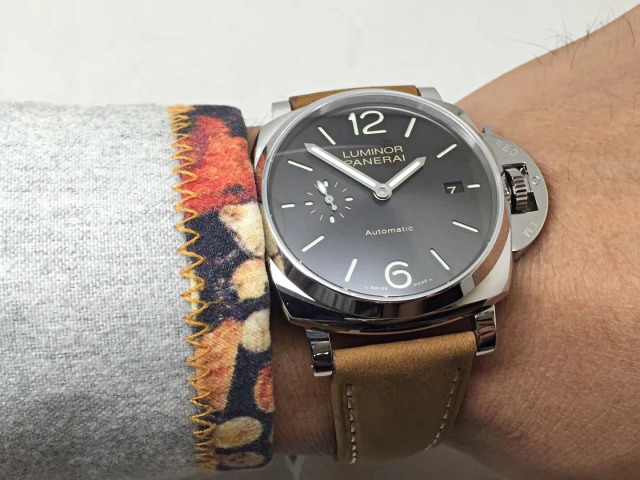 The Panerai PAM 904 is a very suitable for men who love Panerai but have a thin wrist. 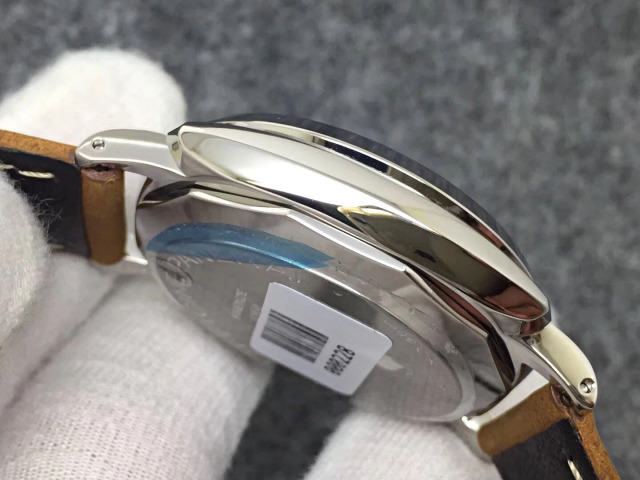 The case is made of 316L stainless steel, which is polished. 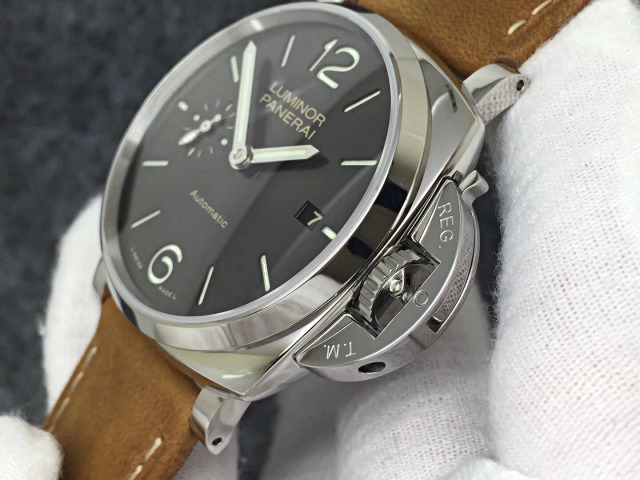 The case is measured to be 42mm in diameter and is only 14mm thick, which is thinner than most other Luminor Panerai watches. 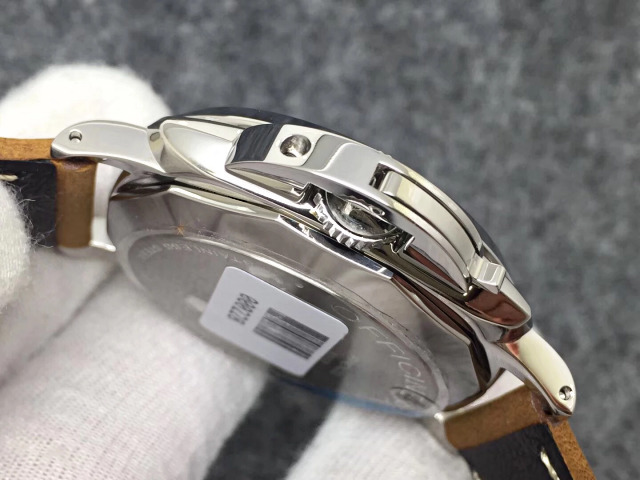 Crown bridge is fixed on the right side of the case by screw, it features a lever and has the same construction as genuine Panerai crown bridge. 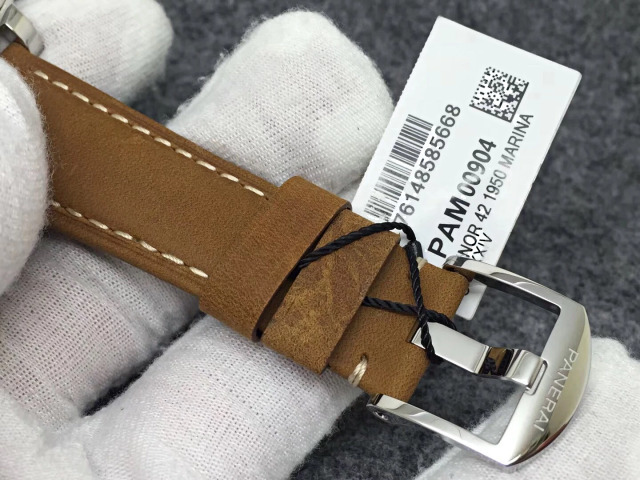 The lugs naturally extend from the case, they are also polished, there are pins that connect case and band through lugs. 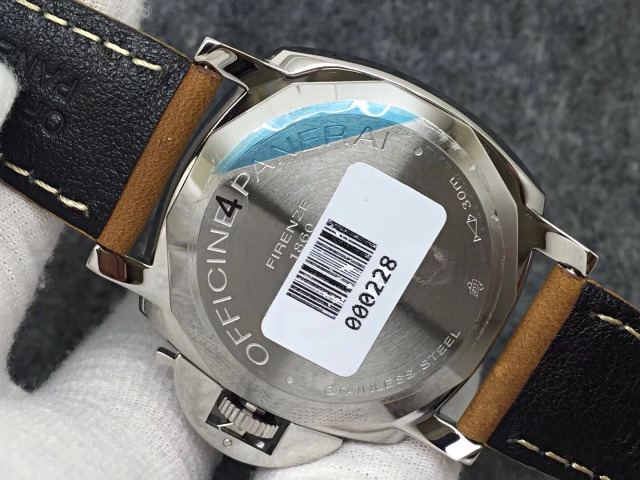 On brushed case back, there are full of engravings, “LUMINOR due” on the center, there is a very small OP Logo that is engraved on the edge. With a bubble ball, it is easy to open this polygonal case back. 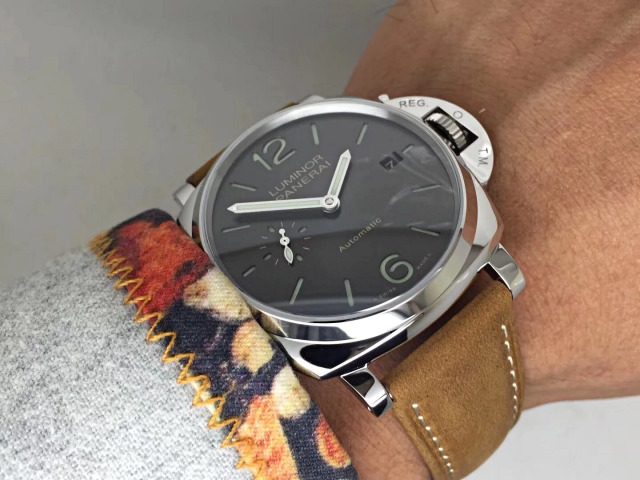 Like genuine watch, the replica has an anthracite sunburst dial, while the structure is still sandwiched. 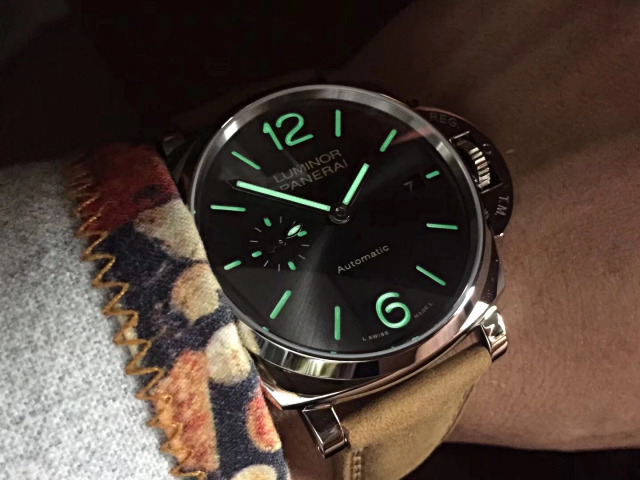 The bottom disc is fully applied luminous material, while the anthracite sunburst disc has skeletonized hour markers, when you check the dial at night, these markers and hands will emit a strong green light, which lasts for a long time. Stick hour markers except big “6” and “12” digits. A small date window positioned at 3 o’clock features white date font in black background. Small second hand is on the subdial at 9 o’clock. 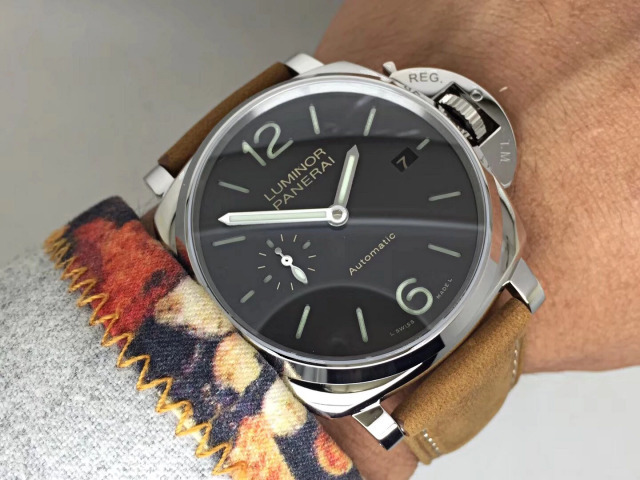 The dial looks simple but very practical, plus the thin case, this Luminor Due is more used as a dress watch, but still with the DNA of Panerai Luminor. 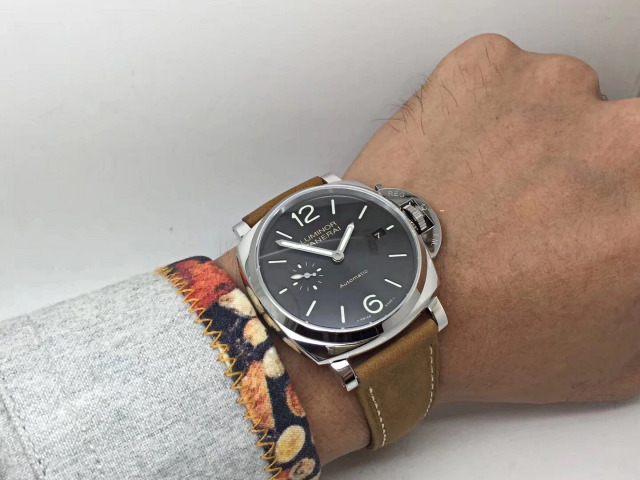 Brown leather strap is popular Panerai ASSO style. 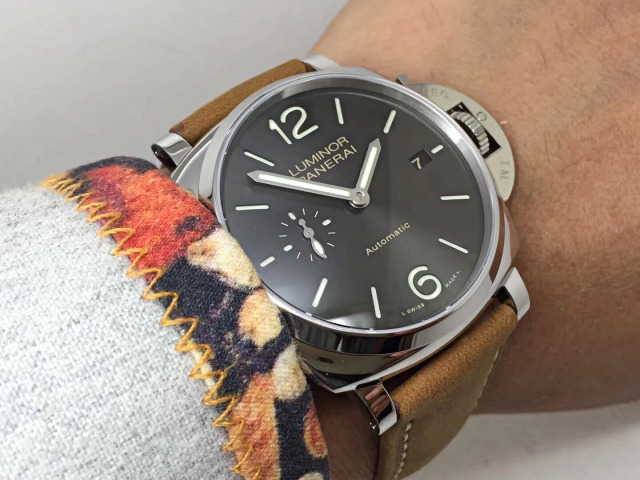 The band features a tang buckle, not a Pre-V style clasp that is used on most Panerai Luminor watches. 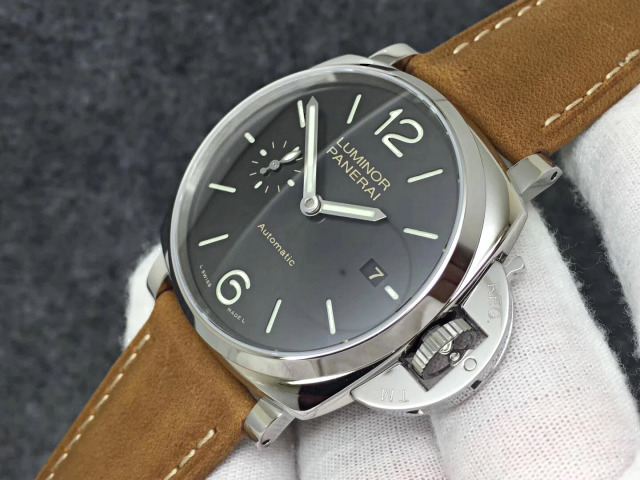 The tang buckle may be not the best fit for an ASSO band, but it is exactly in line with the “dress watch” theme Panerai wants to represent in this PAM 904.